Nestled within the beautiful Cotswolds, Grittleton House takes pride of place in the village of Grittleton, along with the stunning St Marys Church. Full of History and Charm, set amidst 35 acres of private formal gardens, Grittleton House is the perfect setting for your special day. With fabulous transport links to London and beyond, 20 mins to the historic city of Bath and a short distance from Bristol Airport, it is easily accessible to all. 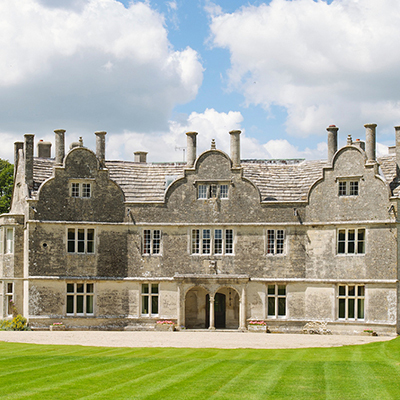 Grittleton House, is an exclusive privately owned country house wedding venue, with beautiful gardens and a choice stunning rooms to accommodate all wedding parties. Full of outstanding architecture and gothic features, with high decorative ceilings, beautiful working fireplaces and an elegance worthy of any Stately Home. 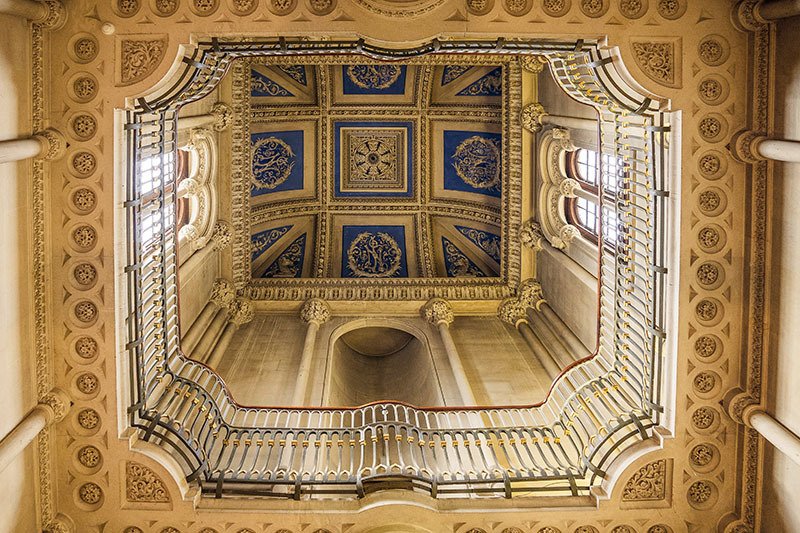 The magnificence of the sweeping double stair case is a wonderful sight as you enter the main hall. For your special day you can chose from one of the stunning State Rooms which can each hold up to 120 dining guests. 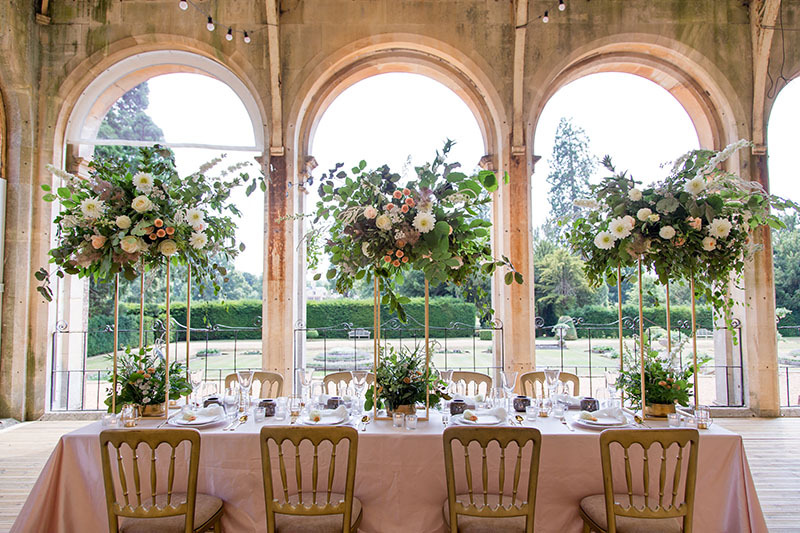 For something larger there is always the Victorian Orangery or for a more intimate affair the Morning and Music Rooms are the perfect choice. 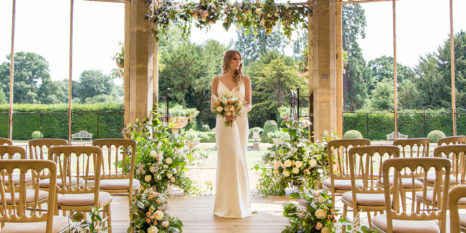 In the glorious summer months enjoy an alfresco wedding in the Sunken Italian Gardens, or something a little more Boho with Glamping in the grounds. The house and grounds provide a wonderful setting for a marquee. Benefit from onsite accommodation, in the historic Old Stables, and the newly appointed wedding suites in the main house. 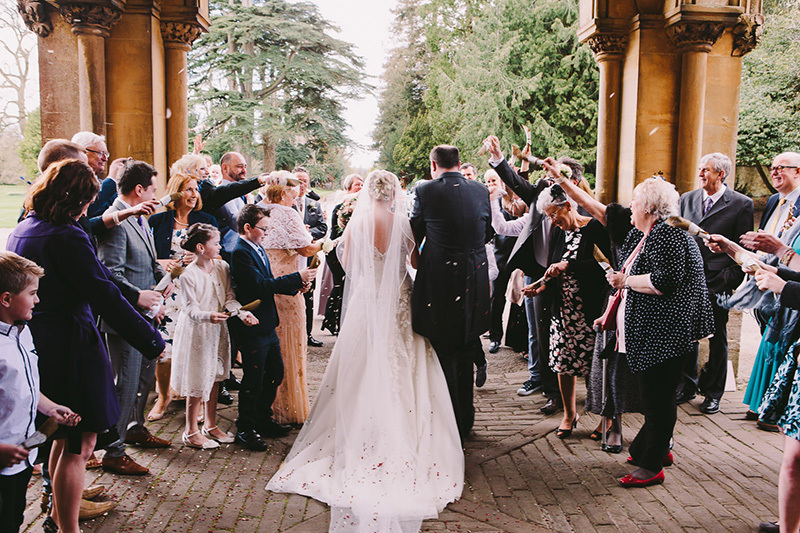 The beauty of Grittleton House is that as a family owned house it comes with flexibility – they want your wedding day to be unique, like no other. With your vision and their expertise you can work together to make your dream wedding a reality. 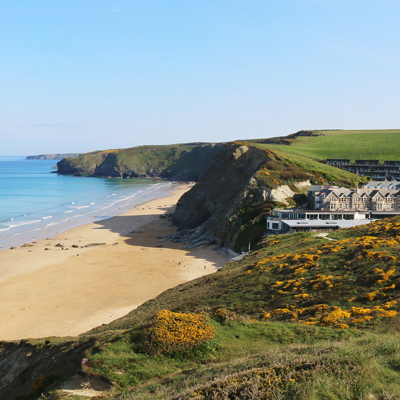 A fabulous all inclusive price of £8,500 inc vat for up to 80 day and evening adult guests. Any additional requirements will be charged at the 2020 prices. Accommodation available please see our website for full details. Offer only available January and February 2020. Book & Marry Within 8 Months! Book and marry within eight months (valid from 1st September 2018) to receive their special offer to include £1,000 discount PLUS a glass of Prosecco for each guest (over 18s). T&Cs apply. Cannot be used in conjuction with any other offer. Thank you to the entire team at Grittleton House. We had an amazing day, we'll treasure it forever! The food was impeccable, the venue is so unique and stunning, great service. The accommodation is ideal and well worth it, and we loved our breakfast in the Stables! I couldn't recommend this wedding venue more. If you want the 'WOW' factor for a great price then look no further! 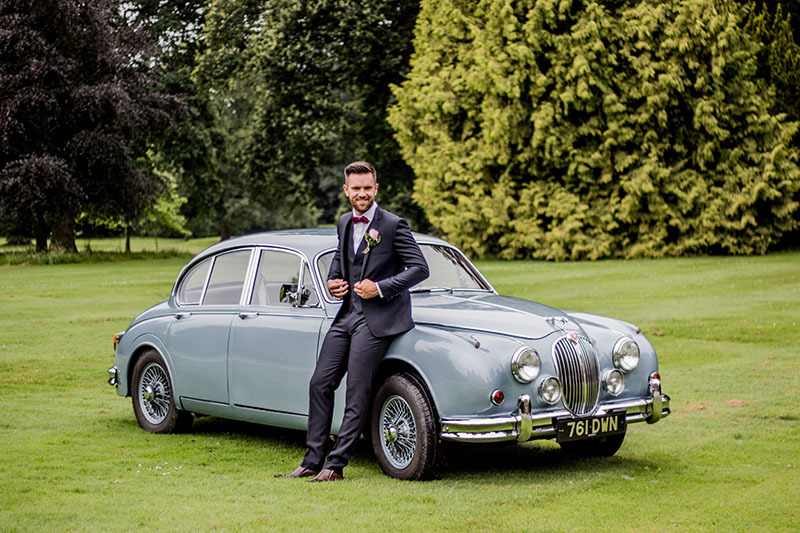 We could not recommend Grittleton House more highly as a wedding venue. The house itself is just breathtaking and from start to finish the staff were a delight to deal with. 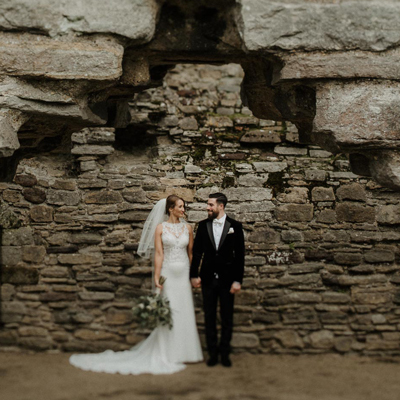 The packages are excellent value for money, and having their simply brilliant coordinator Emma by my side during the planning process and the day itself definitely took away a huge amount of the stress and pressure that I had expected to feel. She was extremely efficient throughout (even when on annual leave) and went above and beyond to answer every little question I had. No other venue we saw compared, and our day was perfect. We celebrated our friends wedding at this wonderful venue on 22nd September, the house was beautiful and the whole day was perfection. The staff were very helpful, even offering to take a guest to her hotel when her taxi was late! I can certainly recommend the Gin Club which we certainly made use of! We also stayed for 2 nights in the Stables accommodation which was comfortable with a much needed delicious breakfast in the morning. Anyone looking for a stunning, picturesque location for their wedding please take a look, probably one of the nicest venues we’ve had the pleasure of attending. Martin & Lucy, your pictures will be stunning and can’t wait to see them. Firstly would like to thank Emma, the Shipp family and staff for an amazing day. From the moment you walk through the door you are met with a warm welcome and a stunning house. Everything that is supposed to be stressful about organising a wedding was made easy so when it came to the day it was lovely. We were able to have the wedding ceremony at the venue which was wonderful and makes it easy for guests as there was no traveling involved. The wedding breakfast was absolutely amazing. The venue itself is so nicely decorated that we felt we didn't need to do a lot ourselves and as the wedding was near Christmas we were fortunate enough to have Christmas decorations as well which are very tastefully done. We stayed the night of our wedding at the Stables which is a short walk across the grounds to where the Rooms are situated. The rooms were clean, warm and comfortable and the breakfast the next day was lovely. All of our guests commented to us about how lovely the venue was. Would recommend to anybody. We had our fabulous wedding here on Friday and it was THE most magical day ever. I cannot recommend it highly enough. Emma was fantastic throughout the whole planning process. Nothing was too much trouble and she was always on hand to answer any questions which made it a very relaxed experience as I knew everything would go to plan in her capable hands. The food was absolutely incredible and the personalized cocktails went down a storm along with the Marshfield ice cream treat at the drinks reception. The venue is an absolute gem and we will never get over just how incredible it is. We would like to say a huge thank you to Emma, Nelson, Matt, Vanessa and all the staff for being so amazing and making our retro wedding the best day of our lives.